A company best known for its 1990s-era audio streaming software has just made a new facial recognition application available free to schools in the United States and Canada. 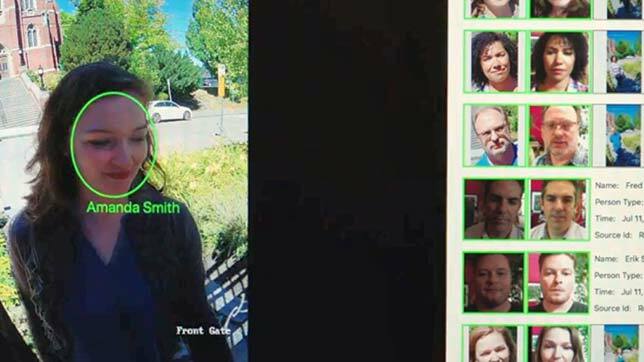 RealNetworks, which now produces games, media management applications and mobile phone technology, recently introduced SAFR, a program for detecting and matching faces in real time. The goal of making the system free, said Chairman and CEO Rob Glaser, is to "make schools safer." SAFR requires the presence of one or two IP video cameras, access to the SAFR recognition software and SAFR application, which run on the iMac Pro or Mac Pro with macOS Sierra 10.12+, and the SAFR iPad app. Support for Windows, Linux and Android are "coming soon," RealNetworks noted on its website. According to the company, its software can recognize faces at varying degrees and distances from the camera, in myriad poses, that are partially obscured, that have different expressions, that are heavily made up or that are captured in extreme lighting conditions. The system was tested this summer at University Child Development School, a private school in Seattle, located a few miles from RealNetworks' headquarters. "SAFR immediately proved to be an enormously valuable asset, helping to ensure that our open, urban campus stays secure," said Paula Smith, head of school. "The facial recognition solution provides parents and staff faster campus and building access, freeing up staff so they can devote more time to student needs." RealNetworks' SAFR for K-12 Schools matches faces in real-time to grant access to school gates and doors. Source: RealNetworks. In the face of public concerns regarding the use of facial recognition in schools, the company emphasized the privacy aspects of its technology, stating that the program encrypts its facial data and images and never transmits that data when the system is used locally. RealNetworks has put the software through its paces, testing it against a University of Massachusetts benchmark for accuracy, where it scored 99.8 percent for "labeled faces in the wild." The company also submitted the program to the National Institute of Standards and Technology "face recognition vendor test", where it ranked 18th in a leaderboard for top performing algorithms measured on false non-match rate across several different datasets. RealNetworks reported that it would be introducing additional versions of SAFR for commercial use in the fall.